UX design jobs are hot in demand and pay handsomely. But just what are the best US cities to be a UI/UX designer? UX design is at its zenith. In a world where simply unlocking your phone is an experience, it comes as no surprise that the field of user experience design is blowing up. A cursory glance at the 50 best jobs in America on Glassdoor reveals that many of the top positions center around some form of experience creation. Product managers, marketing managers and UX designers are just a few on the list involved in that endeavor. Companies looking to improve their margins need to get their user experiences right because the cost of bad UX can have devastating consequences on turnover and profit. Since UX design jobs is a hot topic, Justinmind’s uncovering which are the best US cities to be a UI/UX designer in. Bring your ideas to life wherever you are. Download Justinmind. Who would have guessed it? 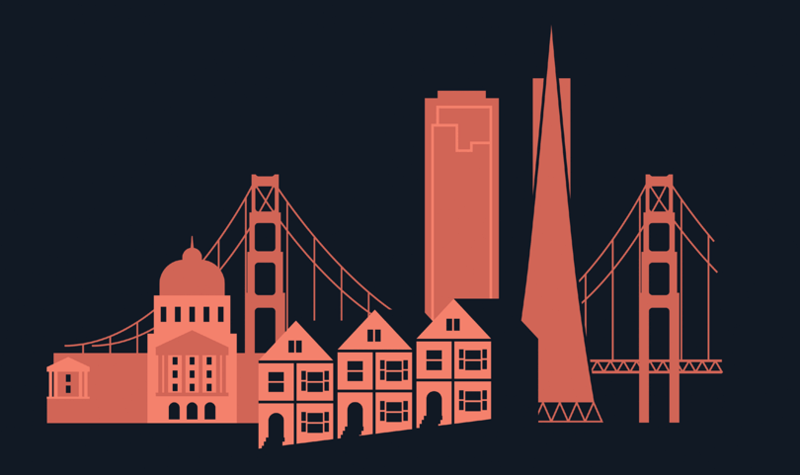 San Francisco is the Mecca for UX designers who want to get involved in the robust start-up culture that the city has become (in)famous for. With a ton of prestigious UX design agencies from Clay, Method and IDEO, San Francisco UXers have a lot of choice when it comes to finding the right position. A base salary of $100k doesn’t hurt either. Even if agency life isn’t for you, there are still a host of startups, tech firms and run of the mill companies always on the hunt for talented UX designers. The tech culture in Silicon Valley is often parodied but the Gandhi quote “first they ignore you, then they mock you…” comes to mind. If you want to be in a city that’s leading the tech world, you can’t go wrong with the west coast. Who’d have thought Charlotte would find fame with UX design? Over the last 10 years, the tech business in the North Carolina capital has grown by 62%. This job growth has resulted in over 7,000 tech jobs being created and a 700% growth in software publishing employment, according to Forbes. While you won’t find eye-watering salaries like those in New York or San Francisco, the average base salary comes in at just under $80k. Austin is well known for being a hub for startups. In fact, they’re thriving. Juliette Rizkallah points out that Austin’s success is not down to an endless stream of venture capital (although, Austin is not short on venture capitalists) but in fact hard graft and discipline. Big names like Dell, IBM, Google and Oracle have settled in the Texan capital and the cost of living is much lower than other tech hubs in the US, making it attractive for budding UX designers who want a slice of the UX pie without the San Fran or NYC price tag. The University of Texas is known for its School of Information, where 70% of graduates are employed within 3 months of finishing school. They also offer a UX/UI bootcamp which will teach you UX in 24 weeks. Silicon Ranch (this is a trend that needs to die), is also home to the popular South by Southwest technology conference, putting Austin on the map for tech experts and entrepreneurs. Now to the east coast, New York. New York is well known for its advertising and marketing firms. Even though San Francisco is known its UX design, New York outperforms the city when it comes to salary ranges. Some salaries are known to go as high as $160k. On top of that, Forbes reported that Silicon Alley funding applications are trumping San Francisco. Many digital agencies are headquartered in this bustling metropolis. One prominent digital agency includes Neo, founded by UX specialists Jeff Gothelf and Josh Seiden who authored the ever popular book Lean UX: Applying Lean Principles to Improve User Experience. There’s also a popular mentoring program run by UXPA, perfect if you’re just dipping your toes into UX waters. Getting started with Lean UX? Start here. New York is also home to a number of the world’s best design schools such as nearby RISD, The New School and the Pratt Institute making it the perfect place to top up your UX design skills. 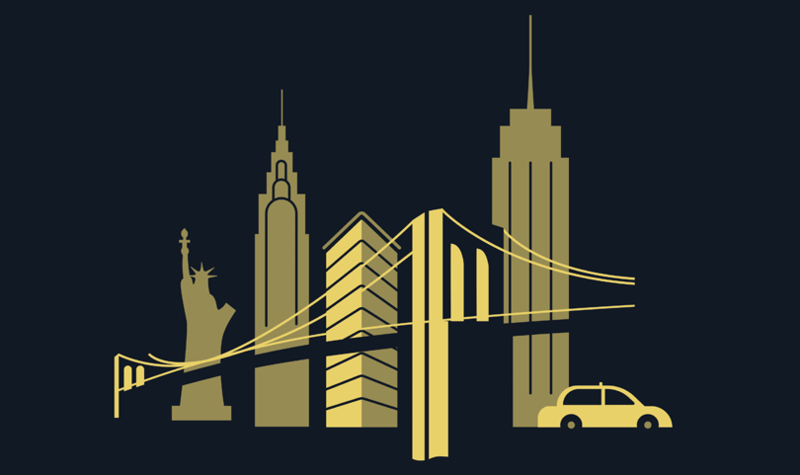 If you want more insight into New York from real UX professionals, check out these 5 stories on getting started in NYC as a UXer. Seattle is home to some of the world’s most widely used and popular software and web companies from IBM, Expedia, Microsoft and Amazon. It’s also third in the top 20 markets for UX professionals with salaries anywhere from $70k to $122k. Meetup has a whole host of diverse tech meetups including Ladies that UX, UX design book club and UX design peer practice. Aside from Microsoft and Amazon, other companies are growing their bases in Seattle. Take Twitter and Disney – two companies expanding their presence in the northwestern city. In spite of that, the city still keeps its soul. With Seattle you get the excitement of big tech without the sky-high prices of San Francisco. And the UX Meetup in Seattle boasts a plentiful 5,600 members. And since designers love their coffee, it’s worth noting that Seattle is home the world’s most popular coffeehouse, Starbucks. UX designers in the US are spoilt for choices when it comes to finding a city that boasts excellent opportunities for UX/UI jobs. Whether you fancy yourself in rainy Seattle or fighting the heat in sunny Texas, the US will undoubtedly have a city for you. Where are you designing from?